Linear DC Motors, Voice Coil Motors (VCM) or Voice Coil Actuators (VCA) are the simplest type of electric motors. These motors consist of two separate parts; the magnetic housing and the coil. Applying a voltage across the terminals of the motor causes the motor to move to one direction. Reversing the polarity of the applied voltage will move the motor to the opposite direction. The generated force is proportional to the current that flows through the motor coil. This force is almost constant in the specified stroke range of the motor. 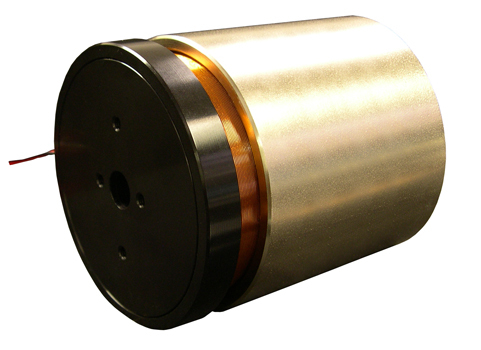 Voice coil motors do not need commutation and using a position sensor, positioning accuracies of less than one micron or 0.00004 inches are achievable. The non-commuted motor construction increases reliability. The direct coupling of the motor to the load allows for fast acceleration / deceleration and high speed operation. 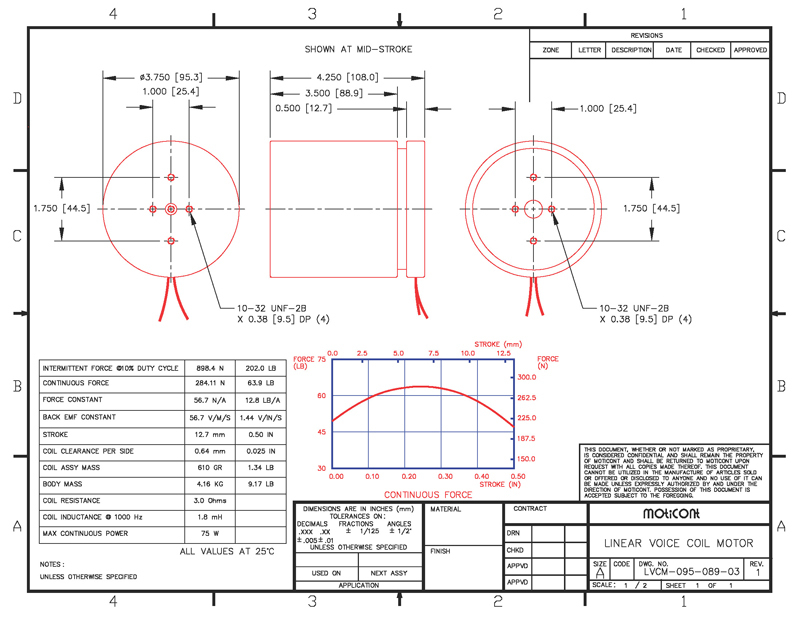 A customer supplied linear bearing is required to support the moving coil. This motor may be used in conjunction with a position sensor and a motion controller for accurate positioning. For proper heat sinking the motor may need to be installed on a metallic body.